I never notice pomegranates until they are gone. They appear in the grocery stores – usually on sale 2/$5 – for a couple months through the fall and winter, and then disappear the rest of the year. I wonder how I can get tomatoes all year round, but pomegranates only during select months? 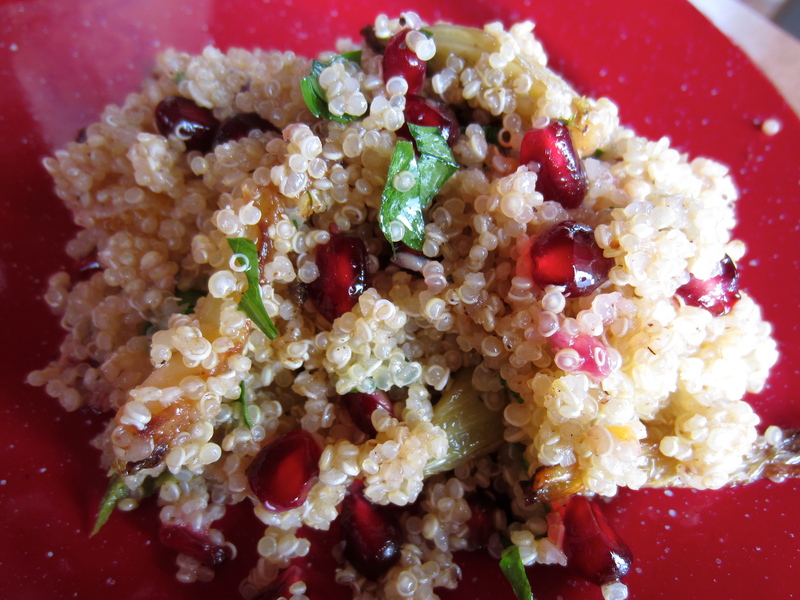 My point is that I save all these pomegranate recipes, forgetting to make them when I can find the fruits in season. This recipe is very unique tasting. The pomegranate is sweet but very tart, adding a different flavor profile along with the nutty anise of the fennel and the citrus with herbs. It was fresh and had a bite, but will definitely make you stop and think, “Huh?” after the first bite. I think it’s the pomegranate seeds, which literally explode when you chew them. Heat 1/4 cup oil in a large skillet over medium heat. Add fennel; season with salt and pepper. 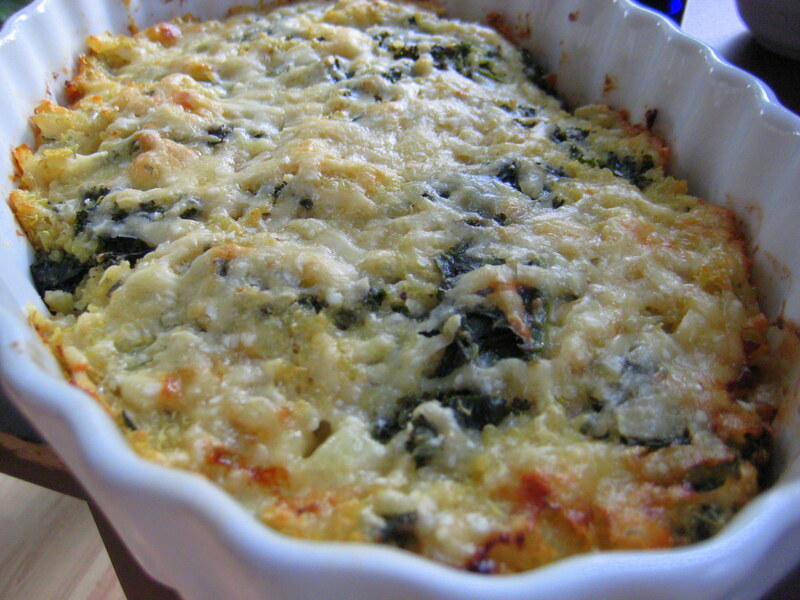 Cook, stirring occasionally, until fennel is just tender and lightly golden, 10–12 minutes. Stir in lemon juice, cumin, and sugar; cook for 1 minute. Season with salt and pepper. Set aside. Using a small sharp knife, cut all peel and white pith from lemon (an orange is good here, too). Cut between membranes to release segments; discard membranes and roughly chop. Add lemon with any juices and remaining 1 Tbsp. oil to quinoa; stir. Add fennel mixture, chile, and herbs. Toss gently to incorporate. Season with salt and pepper. 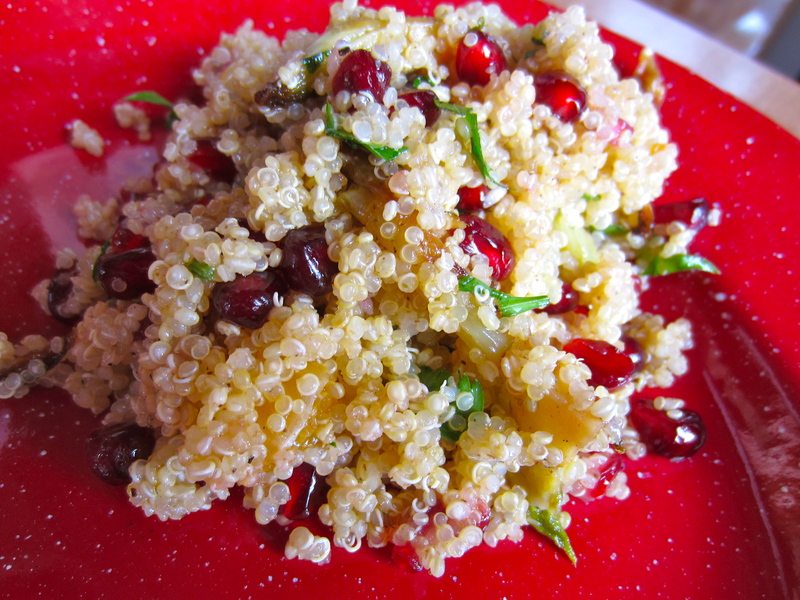 Transfer salad to a platter; sprinkle with pomegranate seeds. 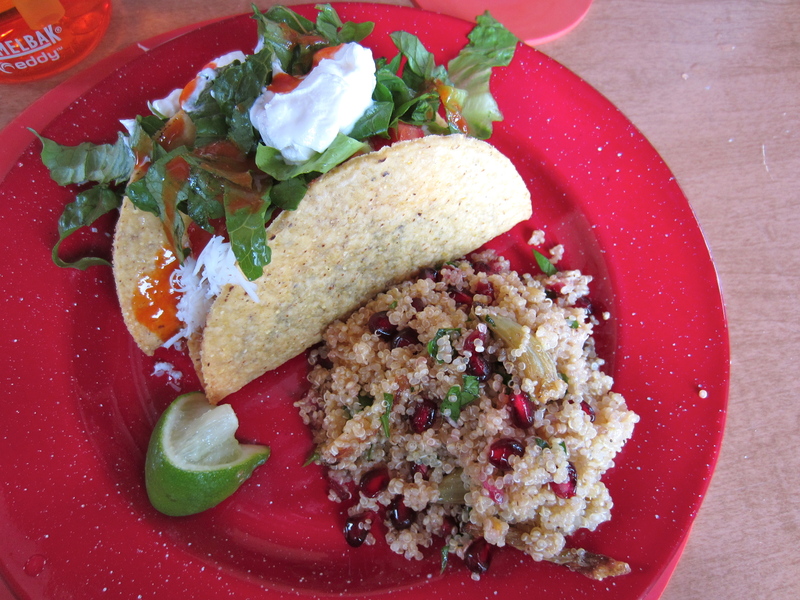 We had this with some vegetarian tacos that a friend (Teri from A Foodie Stays Fit) made – it was a healthy little lunch! 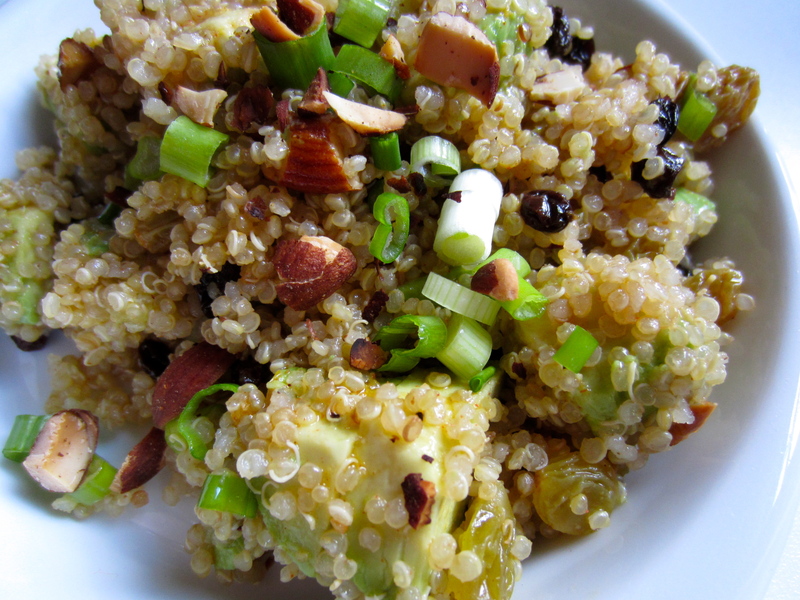 I’ve been trying to accept the fact that quinoa is the “in” grain of the moment. The most recent Bon Appetit even has a whole section devoted to quinoa salads, and quinoa is constantly on my Pinterest feed, so I know the populace has caught on. I suppose I initially resisted quinoa for the same reason I resisted tabbouleh – weird hippie food they sell at the natural foods store. 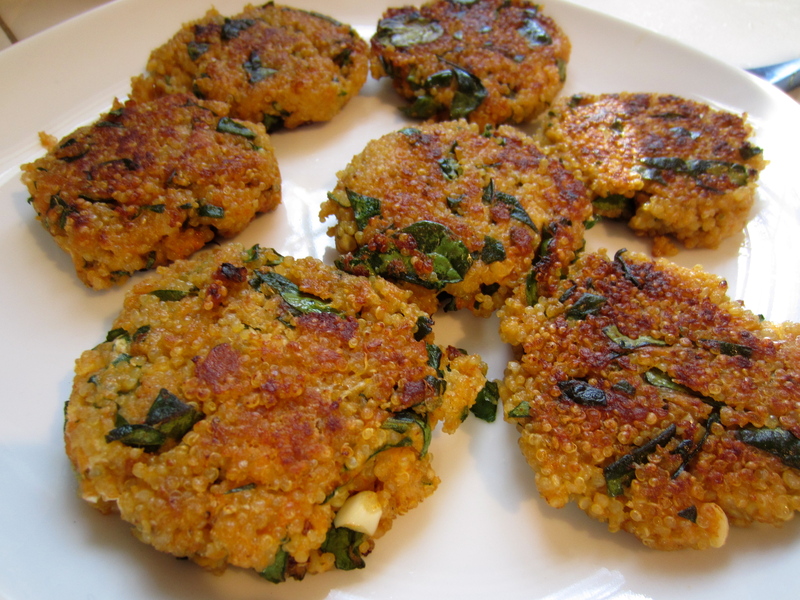 But recipes like this, and my baked quinoa recipe, show how versatile this extremely healthy little food is. 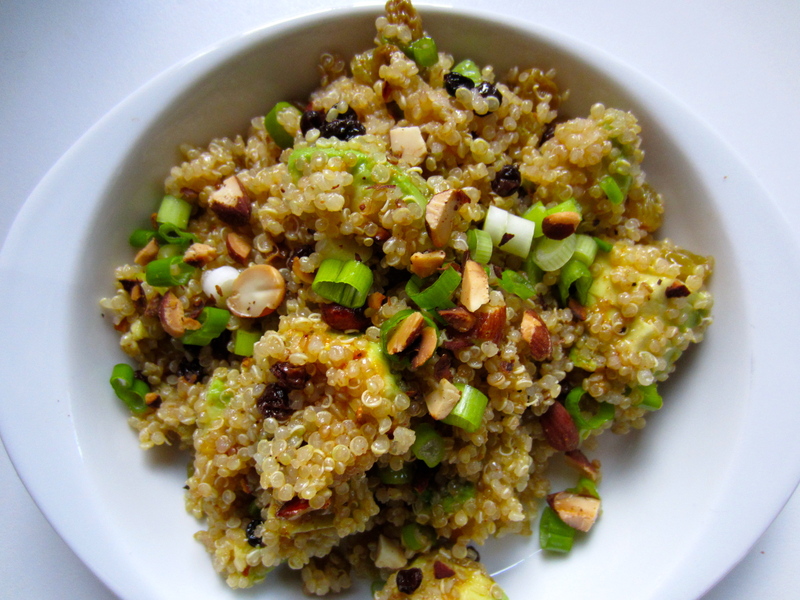 Boiled until the grain pearls turn translucent and a delicate thread appears, you toss the quinoa with ripe chunks of avocado, plump golden raisins and currants, crisp scallions and a vinaigrette made of lemon, cumin, coriander, paprika and olive oil. For extra crunch, toasted chopped almonds are sprinkled on top. I mean, wow, this was surprisingly good! And vegan … right? I made it on a week night and topped it with some leftover rotisserie chicken we happened to have in the fridge. Delicious! The creamy avocado, sweet fruit, hot bite of green onions and nutty crunch from the almonds … it’s really a winning combination. I encourage all of you to try it immediately. 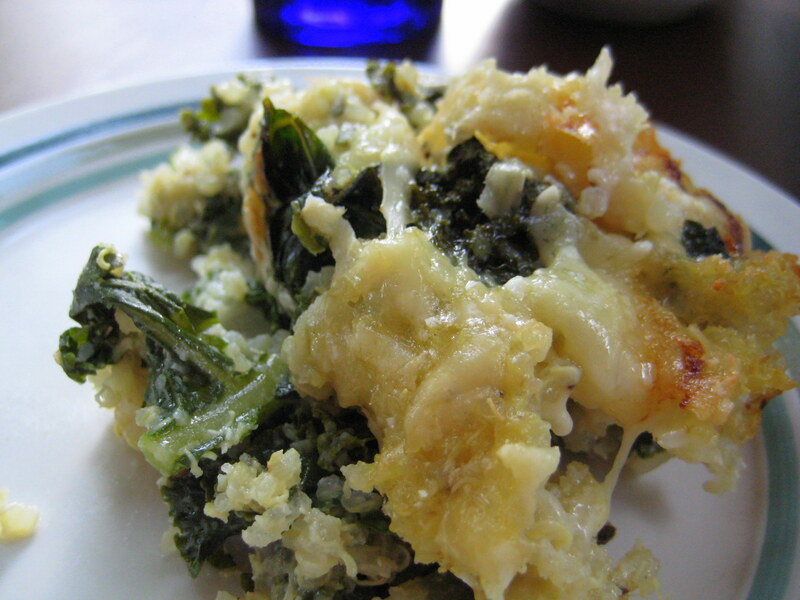 Adapted from the amazing Cook Fresh magazine (best of Fine Cooking). In a medium bowl, soak raisins and currants in hot water for 5 minutes. Drain and set aside. Meanwhile, in 2-quart saucepan, bring 2 c. water, quinoa and 1/2 tsp salt to boil over high heat. Cover, reduce heat to medium low and simmer until water is absorbed and quinoa is translucent and tender, 10-15 min (the germ rings will remain chewy and white, like little squiggles). 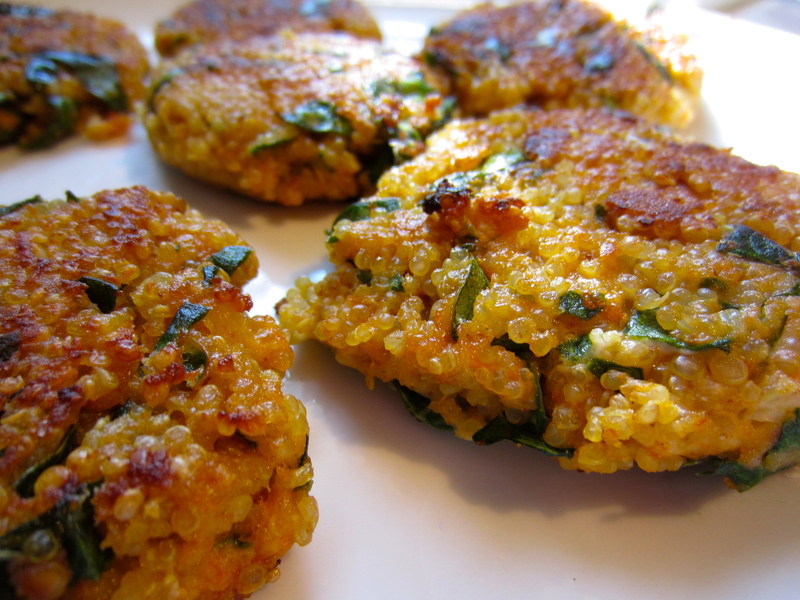 Immediately fluff quinoa with a fork and turn out on baking sheet to cool to room temperature. Zest and juice the lemon into a small bowl and whisk in olive oil, spices and 1/4 tsp salt. 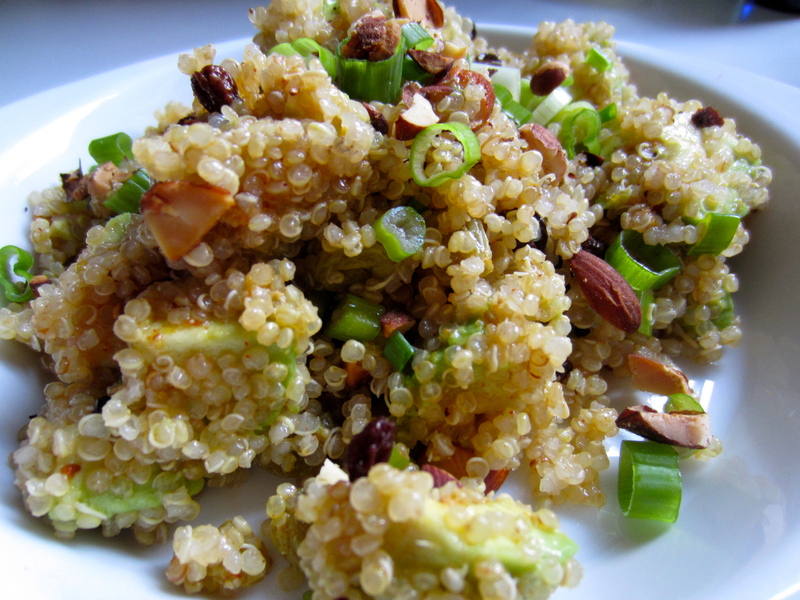 In a large bowl, gently mix with avocado, then toss with quinoa, fruit, scallions and almonds. 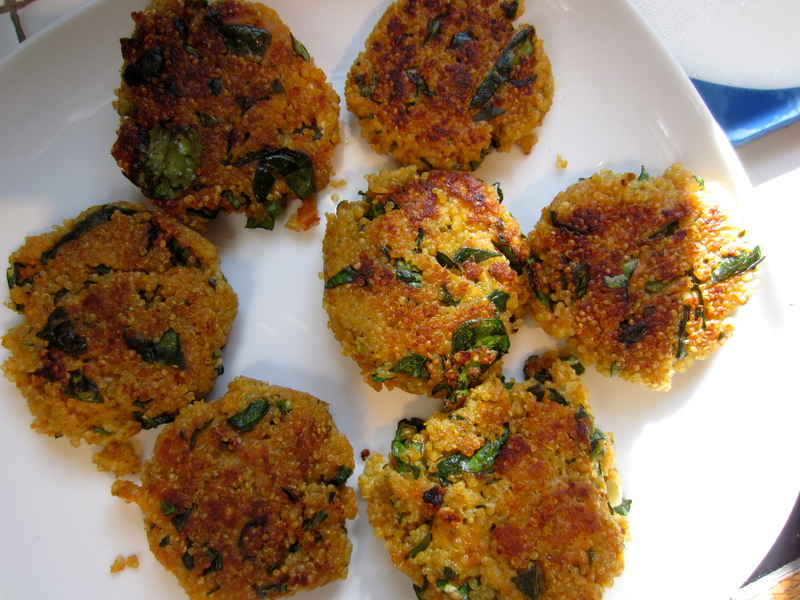 Season to taste with salt and pepper and top with extra almonds and scallions, if you have them. See? Easy! And so surprisingly flavorful. I shall be making this one again.